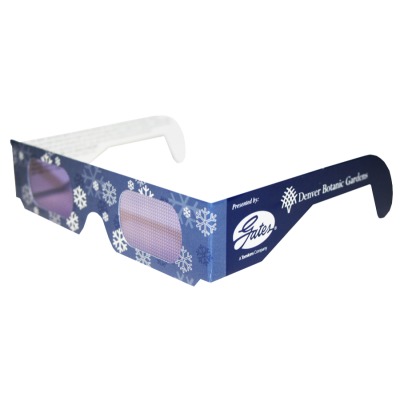 Denver Botanic Gardens - American Paper Optics produces HoloSpex™ glasses yearly for the Denver Botanic Gardens event called "Blossoms of Light". 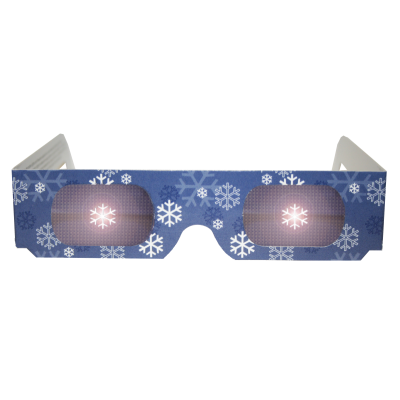 Consumers are treated to a variety of light displays that are only enhanced when wearing these custom shape snowflake HoloSpex™ glasses. This is one example of the hundreds of light shows in which American Paper Optics manufactures HoloSpex™ glasses. The magical glasses make these events a success year in and year out.